I wanted to help out my friend, the Reverend Kirk Berlenbach (at St. Timothy's Episcopal in Roxborough), because the guy runs one of the most lively, active, and dedicated beer clubs in Philadelphia, and I've had some real fun afternoons hanging out talking beer with them in the church basement. Really! They help run a homebrew competition and reception that doubles as a tour of the brewer mausoleums of the Laurel Hill and West Laurel Hill Cemeteries, led by Rich Wagner, the newly-published author of Philadelphia Beer: a heady history of brewing in the cradle of liberty (with a foreword by yours truly). Perhaps not a unique afternoon, but you gotta figure the combo's kinda rare. Check into it; you don't have to be in the competition to take the tour, have some fun, talk beer, and get some good home-made beer and food. Step in to spring with some suds at West Laurel Hill’s Third Annual Homebrew Competition, Tour, Tasting and Reception. Are you a homebrewer? See how your brew measures up at this AHA-BJCP sanctioned event. Both bottled entries and sixtel entries are welcome. Brewers submitting a sixtel receive free entry for themselves and two guests. Bottled entries are $7 per entry and must be received by Friday, May 11th. Certified BJCP judges are also welcome to apply. Not a homebrewer? Don’t miss one of West Laurel Hill’s most popular events! Attend as a guest and you’ll have an opportunity to learn about Philadelphia’s rich brewing history. 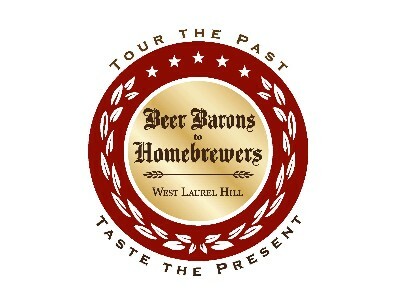 Tickets are $25 per person including a tour of Laurel Hill and West Laurel Hill Cemeteries led by Pennsylvania brewery historian Rich Wagner, craft beer samplings and gourmet food. Reservations are required and space is limited. For more information, to enter a homebrew or to purchase tickets call 610-668-4258 or e-mail Sarah at sjp@forever-care.com A portion of the proceeds from the event benefit the mission work of St. Timothy’s Episcopal Church, Roxborough. Bring it on, Jack me boy!